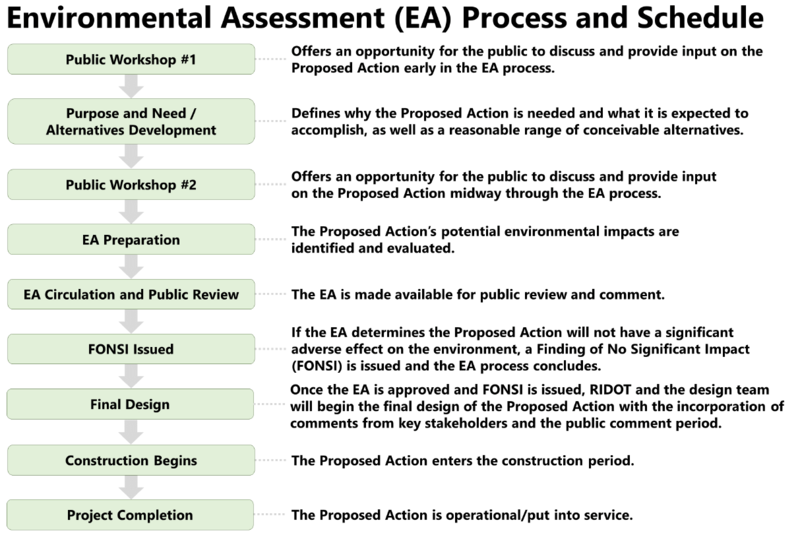 Offers an opportunity for the public to discuss and provide input on the Proposed Action early in the EA process. Defines why the Proposed Action is needed and what it is expected to accomplish, as well as a reasonable range of conceivable alternatives. Offers an opportunity for the public to discuss and provide input on the Proposed Action midway through the EA process. The Proposed Action’s potential environmental impacts are identified and evaluated. The EA is made available for public review and comment. If the EA determines the Proposed Action will not have a significant adverse effect on the environment, a Finding of No Significant Impact (FONSI) is issued and the EA process concludes. The Proposed Action enters the construction period. The Proposed Action is operational/put into service.